The Sholk Road Adventures: What a year it has been for U.S.-Kazakhstan relations! What a year it has been for U.S.-Kazakhstan relations! January 30th marked the one-year anniversary of the conduct of parliamentary elections, and the visit of then Foreign Minister Yerzhan Kazykhanov to Washington for the U.S.-Kazakhstan strategic dialogue. It is symbolic that the new Ambassador of Kazakhstan to the United States, the honorable Kairat Umarov, met with some of Washington’s brightest and most informed followers of Central Asian political developments to convey his policy ambitions. Ambassador Umarov is a career diplomat who has previously served in Washington, and is a real gentleman with a warm smile and kind demeanor. I was particularly impressed with his willingness and genuine interest in engaging with Washington’s policy wonks, which is not at all an easy task. Among his priorities are strengthening Science and Technology (S&T) and Innovation within Kazakhstan. The Ambassador emphasized the importance of promoting bottom-up innovation. Having just returned from Kazakhstan and spoken with scientists, I found this the most interesting comment. Innovation is an idea, but to make it a reality, requires effective and dynamic institutions that support experimentation, collaboration, publishing, and commercialization. From my experience, there is innovation and world-class S&T occurring in Kazakhstan and lead by Kazakhstani scientists. 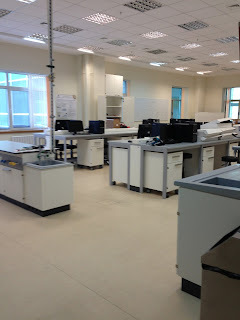 Scientists at Kazakhstan National University at Al-Farabi were pioneering projects in the areas of atomic and particle physics and gamma spectrometry. One researcher was measuring levels of excess tritium in the water surrounding Semipalatinsk while another was exploring nuclear waste in Lake Balkhash. I chatted with another PhD student who had just returned from spending several months in Slovenia conducting research. 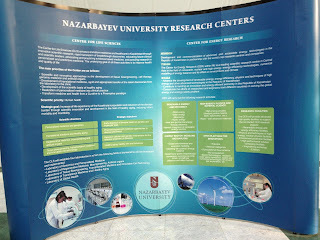 Kazakhstan’s scientific community is active, but the challenge moving forward lies in creating an institutional support structure for scientists to commercialize their activities. Lab at KazGU at Al-Farabi. The issue lies in the commercialization of innovation and institutions – how can scientists transform their research into a quality deliverable for an academic or commercial audience? While research may occur, the next step is to publicize that research and make it relevant to the international science community as a whole. 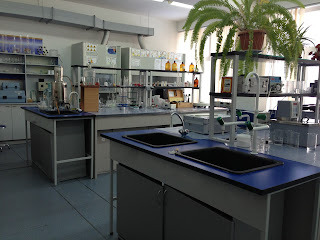 While organizations such as the International Science and Technology Center facilitate international exchanges, domestic institutions must help by providing an outlet for scientists to collaborate, exchange information, and work with small and medium enterprises. Kazakhstan must create an environment in which independent, scientific and business institutions can thrive from the ground up. Now, creating such an environment is not the job of the Ambassador and cannot be handled by government alone. Institutions thrive in an environment where low, mid and high-ranking government officials in ministries and law enforcement are committed to rules and do not fall prey to the temptations of corruption and informal payments. This is a societal change that has already begun to a certain extent, as Bolashak scholars return to work in Kazakhstan after studying abroad. 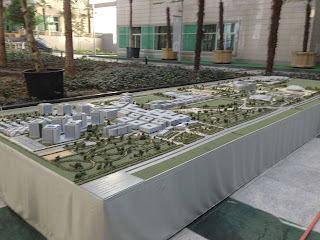 The Ambassador noted how they are efficient bureaucrats and excellent, western-style managers. I confess that I am biased, as I have several friends who were Bolashak scholars and deeply respect them. With that said, I had dinner with a friend in Almaty in January who was not a Bolashak scholar, but expressed his preference for working with government officials who were Bolashak scholars, because he knows they are fair, efficient and genuinely good at their jobs. 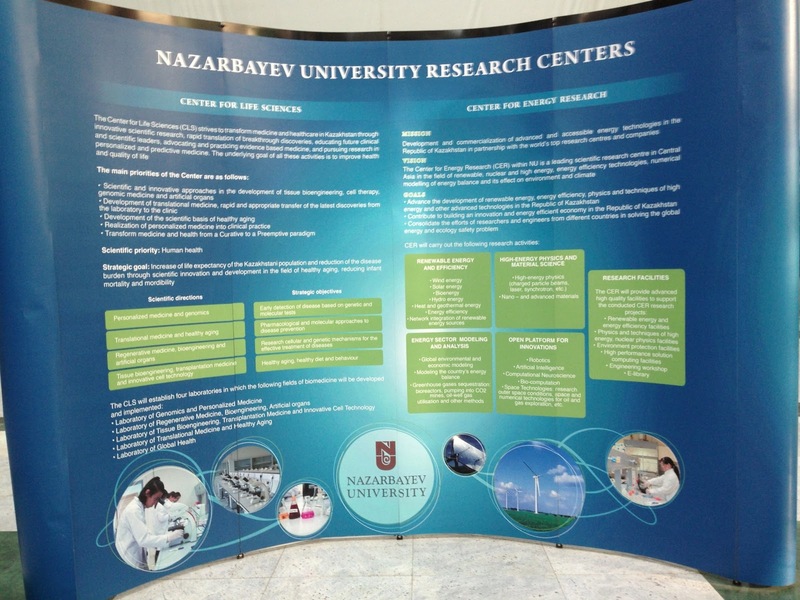 The Ambassador also discussed Nazarbayev University (NU) as a center for innovation. I argue that NU is different not necessarily in terms of the research divisions within the university, but because it has the networks and institutions to support researchers in actualizing and completing innovative projects. Development model for Nazarbayev University in Astana. 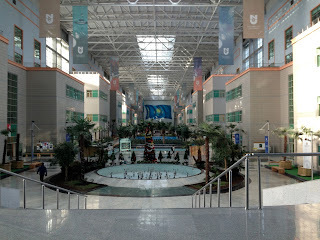 Main Atrium of Nazarbayev University in Astana. Overall, it was an interesting breakfast discussion and a wonderful introduction to Ambassador Umarov. I can only imagine what will occur in the next year of U.S.-Kazakhstan relations.